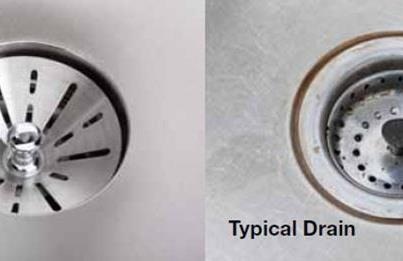 As you stand at the sink washing dishes, do you look at the drain with disgust? No matter how hard and often you scrub and clean that drain, it seems to have dirt, grim and icky stuff stuck to it. Why hasn't a sink company made a drain without that horrible rim around the drain? Now there is the answer to your demand, the InnerMost Perfect Drain Sink. The InnerMost Perfect Drain Sink can be purchased exclusively at The Home Depot. The Double bowl version retails for $359. The single bowl version retails for $229. A Mom Having Fun, The Shopping Duck, Barbara’s Beat, Swank Savings, Ice Fairy Treasure Chest, Jylas’ Three of Us Giveaway, Mail 4 Rosey, Mom Does Reviews, Coupon Diva Queen, The Deals and More, My Birthday is September 11, Happy Mom I Am. To enter this giveaway, please use the Rafflecopter form to enter. Disclosure: More 4 Mom's Buck is not responsible for the fulfillment of this prize. The sponsor will ship the prize to the winner. Any installation cost in the winner’s home is the responsibility of the winner, not the prize sponsor nor the participating bloggers.